The Canadian Coast Guard’s Inshore Rescue Boat station in Rankin Inlet, Nunavut has completed its first season of providing maritime search and rescue services on September 4. The station opened in June 2018 as part of the Oceans Protection Plan, which is improving marine safety in Arctic waters, in collaboration with Indigenous communities. 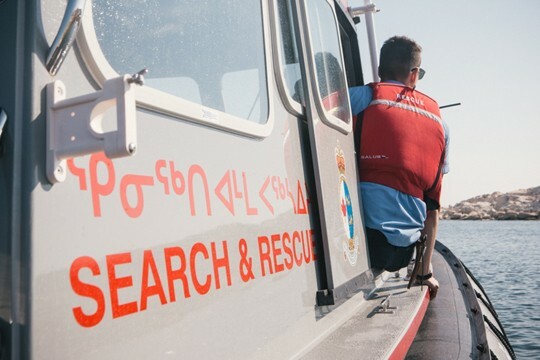 This season, the Inshore Rescue Boat crew in Rankin Inlet completed training with the local Canadian Coast Guard Auxiliary unit to ensure that responses to search and rescue incidents are well-coordinated. Crew members spent over 103 hours on-the-water, and travelled 3,572 kilometres. They also responded to search and rescue cases, including an overdue vessel and subsequent search at Marble Island.